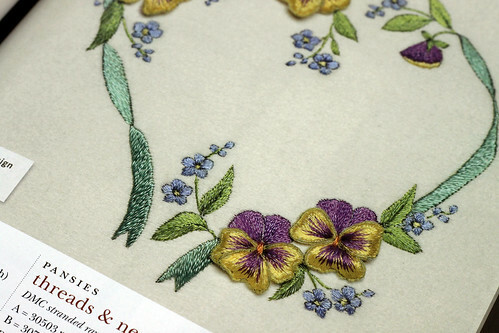 The new “Inspirations 63” embroidery magazine is out. It has lots of pretty designs and some new techniques too. I think I may have gotten side tracked with all the cool sewing machines on the market. I really like hand embroidery better. I need to spend more time crafting and less time shopping. If only shopping weren’t so much fun and crafting sometimes a lot of work, fun work, but still work.. Here are two pretty designs from “Inspirations 63”. This entry was posted on Saturday, August 1st, 2009 at 3:00 am and is filed under Embroidery. Tagged: Embroidery. You can feed this entry. You can leave a response, or trackback from your own site. 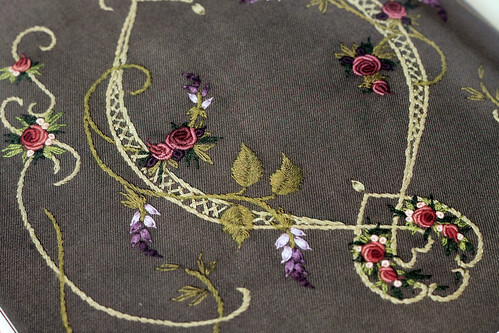 I was also thinking that hand embroidery would be something I’d enjoy more than machine embroidery. I must say that the hand embroidery you’re showing does not look done by hand to me. It’s so amazing!